B.C. artist claims Canada 150 lottery tickets contain her maple leaf design. It's as Canadian as a copyright clash can get. A Vancouver artist is suing B.C. 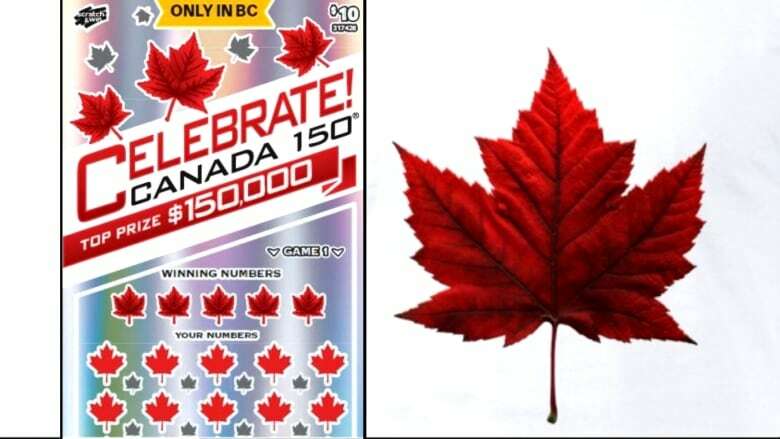 Lottery Corporation for allegedly using her distinctive maple leaf design without permission on scratch and win tickets tied to Canada's 150th birthday. In a notice of civil claim filed in B.C. Supreme Court, Kim Hunter says the three red maple leaves which appeared above the printed words "Celebrate! Canada's 150 Top Prize $150,000" are "identical" to one she spent a week drawing in 2005. Hunter estimates her lost licensing fees at between $500,000 and $2 million. One expert says the case highlights the challenges of copyrighting representations of something so classically Canadian. "It's a leaf. It's found in nature. It's an iconic Canadian symbol and so while an artist would certainly have copyright in any original design or drawing of a maple leaf, the extent of that copyright is limited by what it is," says Teresa Scassa, Canada research chair in information law at the University of Ottawa. "Given the limits of what maple leaves look like, they're all going to have some similarities." According to the lawsuit, Hunter is a "well-established, award winning commercial designer and professional contemporary artist" also known for her work on social and conservation issues. She claims she used a real leaf to design her image. "Hunter cleaned and oiled the source leaf and then scanned it to create a digital image. From the scanned image of the source leaf, Hunter used her graphic design training, professional artistic skill, judgment and experience to design the leaf image," the claim says. "Hunter spent about 14 hours per day for no less than seven days on the process to create the leaf image." Hunter copyrighted the image in the United States, but the claim doesn't mention a Canadian copyright. The suit's legal basis relies on Canadian law which says copyright arises with the creation of an artistic product. The claim says Hunter's most profitable online business is from the "sale of Canadian souvenirs and merchandise bearing the leaf image." She sells souvenirs including hats, T-shirts, sweatshirts and mugs embossed with the image through third-party platforms who give her a royalty ranging from 10 to 40 per cent. According to the claim, BCLC designed the Canada 150 scratch and win tickets in or around January 2017. The tickets sold for $10 a piece. In addition to the three 11-point red leaves on the top of the ticket, Hunter claims five smaller identical versions of the leaf taken from her image appear on top of the winning numbers below. Underneath them are 20 red leaves she says appear to be taken from the Canadian flag. She claims BCLC also used her design for the 24 smaller grey and white leaves scattered over the body of the ticket. The claim isn't the first time a national icon has sparked a legal battle. 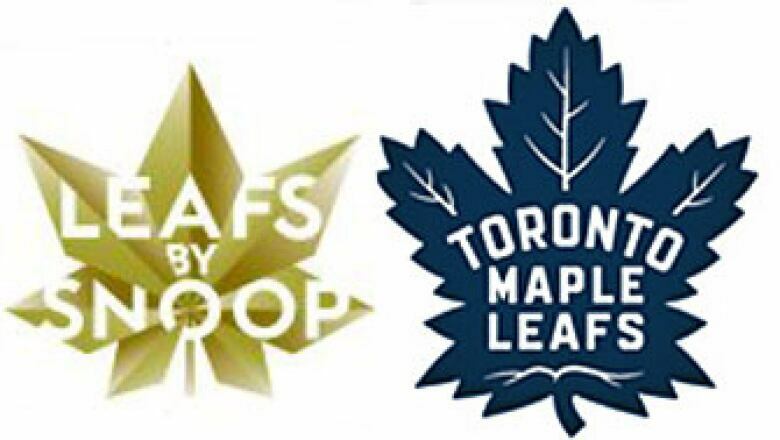 In 2016, Maple Leaf Sports and Entertainment, the company that owns the Toronto Maple Leafs filed an opposition to an attempt by Snoop Dogg to trademark a line of marijuana-related products under Leafs by Snoop, complete with a customised gold-seven point leaf to reflect the rapper's appreciation of bling. And in 2012, the Royal Canadian Mint threatened to charge a Halifax folk singer for reproducing the image of a penny, which is copyrighted by the Mint. The Canadian flag is protected by trademark, but the 11-point leaf is open for design or trademark as long as it conforms to good taste and the owner doesn't try to prevent anyone else from making their own maple leaf design. Scassa says a similar battle sparked a classic case in England involving two separately designed posters used to show people how to vote with a drawing of a hand holding a pencil checking a box. "The court just said they're not the same and there's no monopoly over the concept," she said. "Unless you can prove that the defendant actually copied the plaintiffs, there's no copyright infringement." Scassa says the question for a judge will be to determine if BCLC copied Hunter's design or if they independently drew one that happened to look like hers. "The simpler the design, the less scope there is for copyright protection," Scassa says. "The simpler the design, the closer it is to the thing that's being drawn. And you don't want to go so far as to protect the concept of drawing that thing and give anyone a monopoly over drawing that thing." Both BCLC and Hunter declined comment on the case.